I received this little gem in the mail last week. 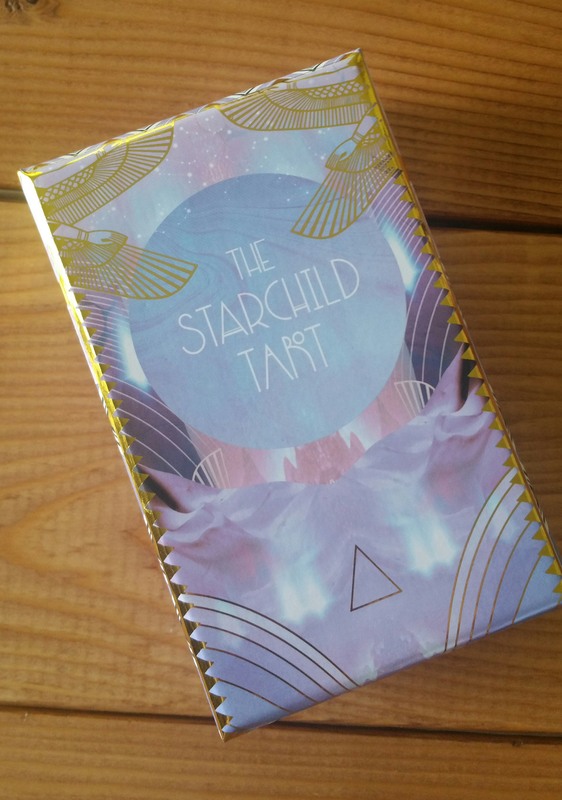 Honestly I’ve been on the fence about the Starchild Tarot. I wasn’t sure if I wanted to pay $70.00 for it and I wasn’t sure if it was a deck that I would really connect with. 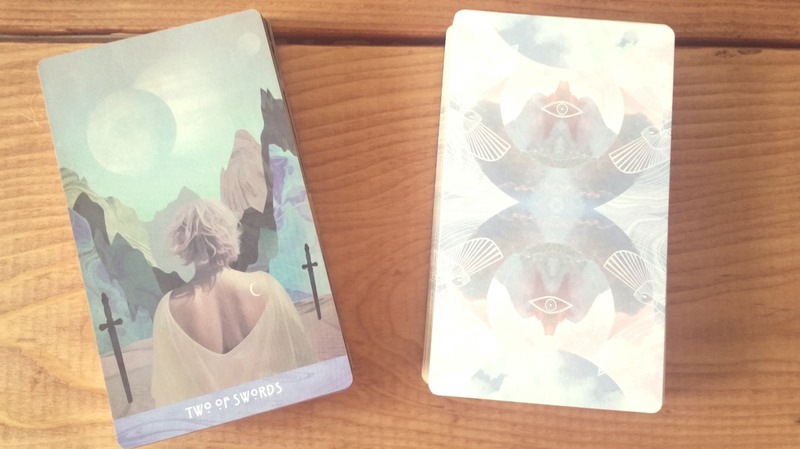 I’m not a huge fan of digital images being used on Tarot cards. Ive seen it done really poorly on decks (has anyone seen the Voyager Tarot?). I’m pretty picky with this form of art. In the end I’m so glad I bought this deck because it is stunning. I’m not sure how much I will actually use it for readings though. I see this as becoming more of a jumping off point for visualizations during meditations. In looking at these cards I can just visualize going into the purple and blue landscape on some sort of spiritual journey or using them as a focal point to achieve a certain goal. I love the box. I’m so glad we are seeing more and more of artists taking the time to make fantastic packaging for their decks. I believe I mentioned this before but I can’t gush over the packaging enough. The box is gorgeous. It has mixture of art deco and Egyptian artwork going on. It is very sturdy. Very similar to the Wild Unknown Tarot packaging. 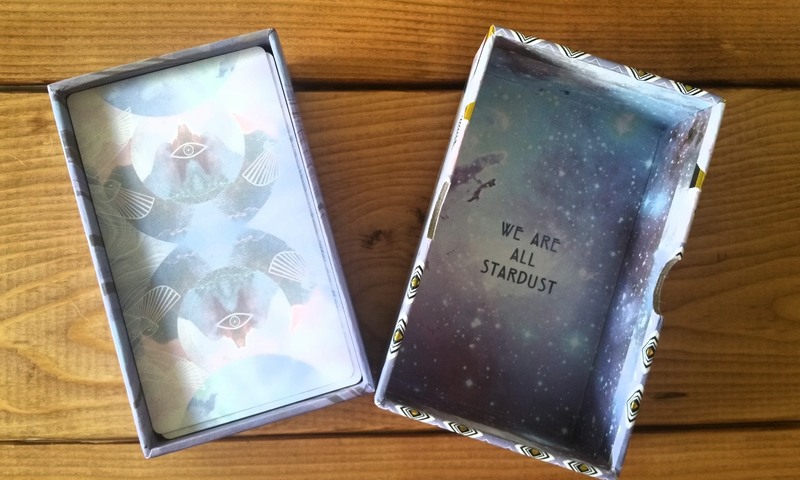 The deck itself is a standard playing card size. The card stock is sturdy. It may pose a challenge to shuffle at first. It reminds me of the card stock the Wild Unknown Tarot is made of, though not as rough it still has a matte feel to it. I find these decks that are made of a real matte card stock can be a challenge to shuffle. This is why the wild Unknown has been siting on my bookshelf untouched. I find it impossible to work with. Every bit of it is eye candy. From the golden glided edges to the dreamy artwork. I didn’t even realize it was going to have gilded edges until I received it! Such an awesome bonus. This deck is almost to pretty and high quality to use. I do wonder how to edges will hold up over time though if your giving this deck a lot of use. I do want to point out that this deck is not a Rider-Waite deck. This deck is totally open to interpretation. Some might even call it more new age. I think this deck for me will take some time to work with to get a good feel with. I could see how to some people it could be hard to interpret the images on the cards as this is a very intuitive deck. The only thing that I’m not really a big fan of is the court cards. Some of them blend together. I have been having trouble connecting them to their correspondences. The graphics themselves are gorgeous. I love the color scheme used throughout. This rich landscape pulls you in. 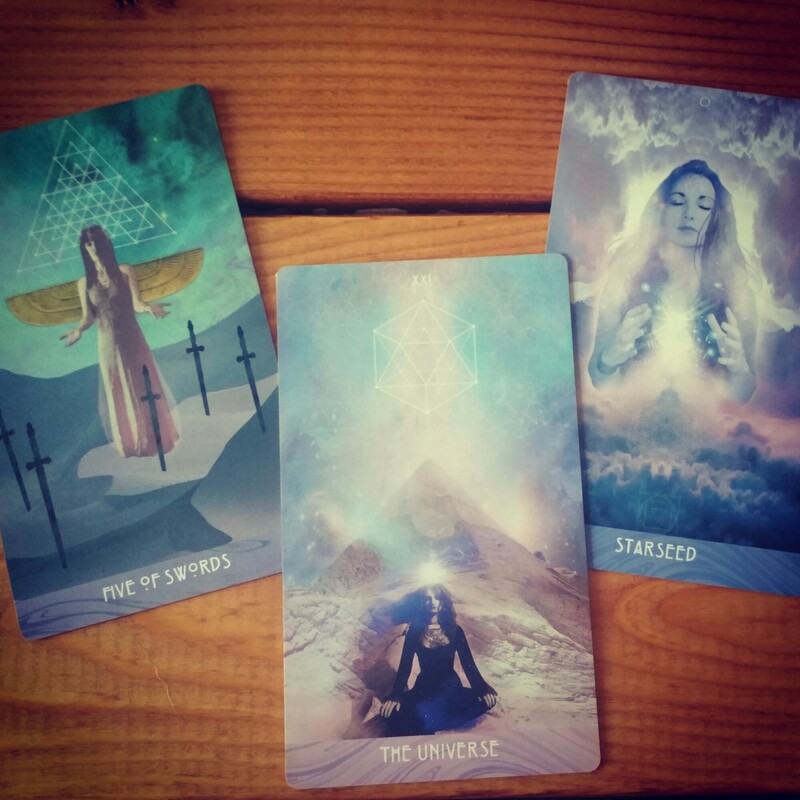 There is scattered sacred geometry throughout the deck, esoteric sorts will love this. You can tell each card was intricately thought through. Overall I do think this deck is worth the price tag. I don’t have the first addition so I can’t make any comparison. I’m really looking forward to what comes next with this deck.